GLASHÜTTE, NOVEMBER 2018. 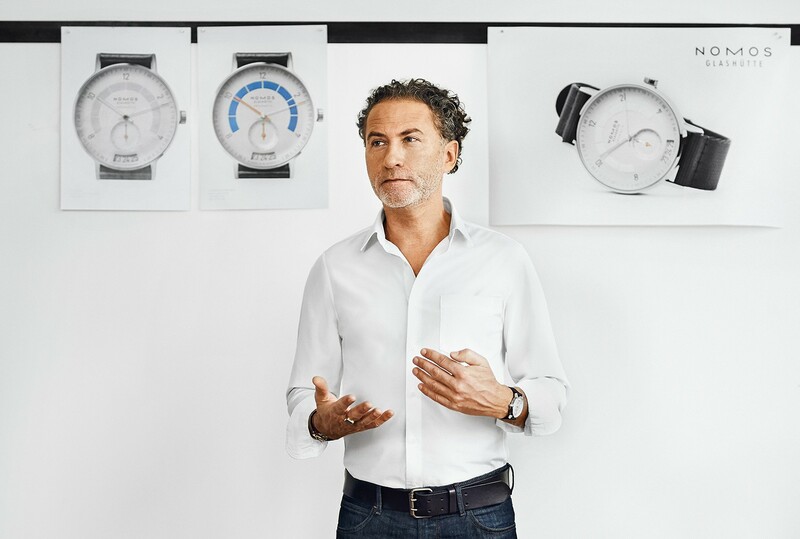 The Advent Calendar from NOMOS Glashütte is a tradition in the making. Starting December 1, we will be holding our annual holiday giveaway—with gifts such as specialties from Glashütte that cannot be found in stores, things that NOMOS designers have created for other brands, exclusive getaways, watch accessories, and even timepieces. This roundup of gifts is designed to delight, and the total value tops that of previous years. Everyone is welcome to participate, and not just once but 24 times in December. Winners will be selected at random and contacted shortly afterwards. From December 1, we will also be sharing links to our Advent Calendar every day on Instagram and Facebook. Or you can head straight to our website: nomos-glashuette.com/advent-calendar. Please share this fun holiday tradition with your readers, followers, and friends—and good luck! We hope to be in touch with you shortly. Dale took time to share a cup of coffee and answer some questions about the new released limited edition: Ace x Nomos Club Campus Amsterdam. He has been with Ace Jewelers since 2012 and spends his time at the Ace Online offices. Besides watches he likes cycling, and on a good day you might even catch him riding his bike from Amersfoort to Amsterdam and back. 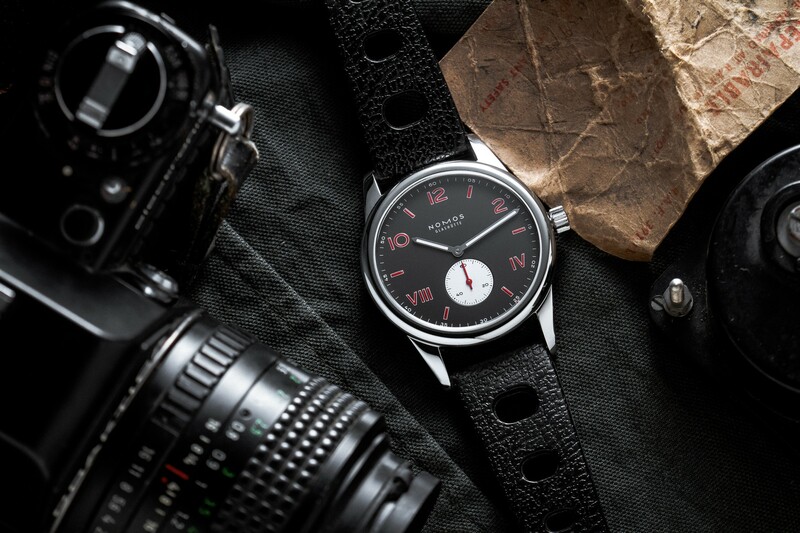 How did NOMOS come on your radar? D: It must’ve been around 2004-2005, when I was endlessly browsing forums such as WatchUSeek and TimeZone. The first time I really took notice was with the release of the Tangomat. 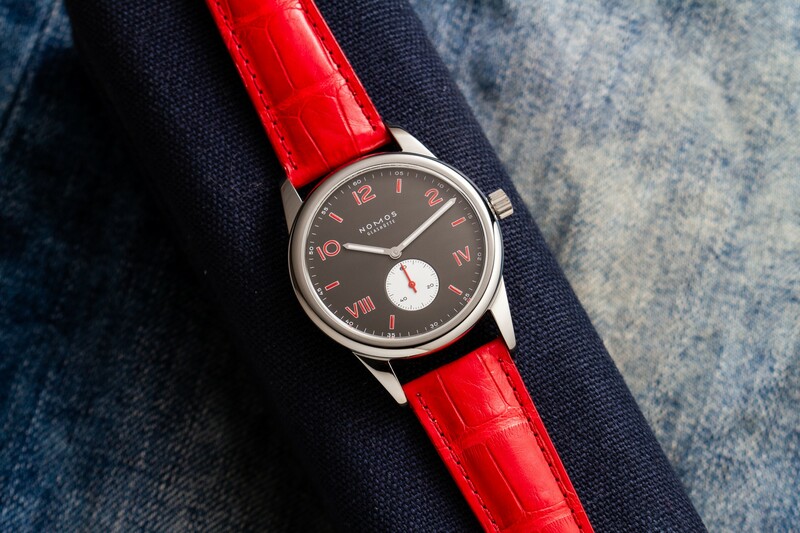 What do you like about NOMOS? D: Over the years I’ve come to appreciate the signature NOMOS style, and approach to manufacturing more and more. I like how they stick to a certain look and feel. You either love it or hate it, but you know a NOMOS when you see one! Since working with them I’ve also come to love the kindness of the people and their down-to-earth attitude. 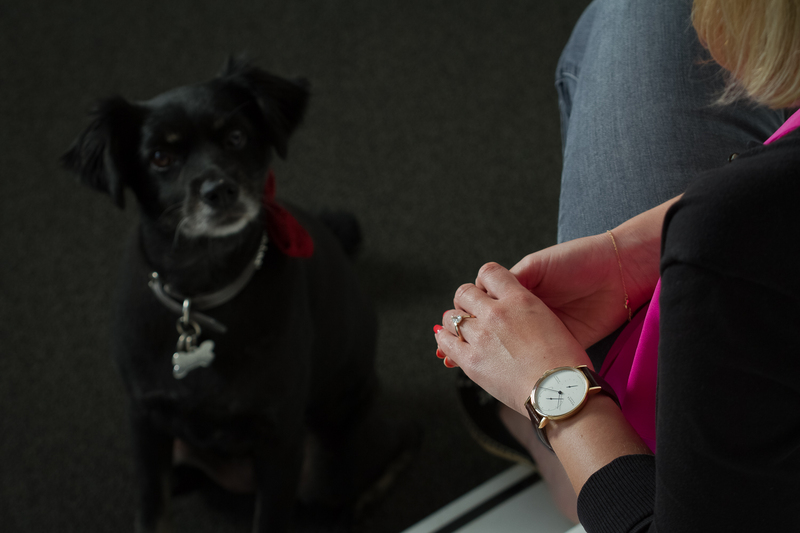 No wild champagne-showered parties, no polo matches, no flashy ambassadors – just watches. You already unveiled a first limited edition with NOMOS in 2017, celebrating the 100 Years of de Stijl. How has it been received? D: I’d say pretty well! It was the first time we embarked on a project like this, so it really was a big experiment for us. We knew the Orion de Stijl wouldn’t be for everyone, but it sold well and we got a lot of good press and reactions from around the world. What made you interested in working on a second Limited Edition and what is special about it? D: We had great fun with the Orion de Stijl, and at the same time we learned a lot. The fact that this watch was unique to us meant that we really had to market it ourselves. In the run-up Alon and I bugged them with a crazy amount of designs, concepts and ideas. I think we were both happy to be allowed to bring another one to fruition! 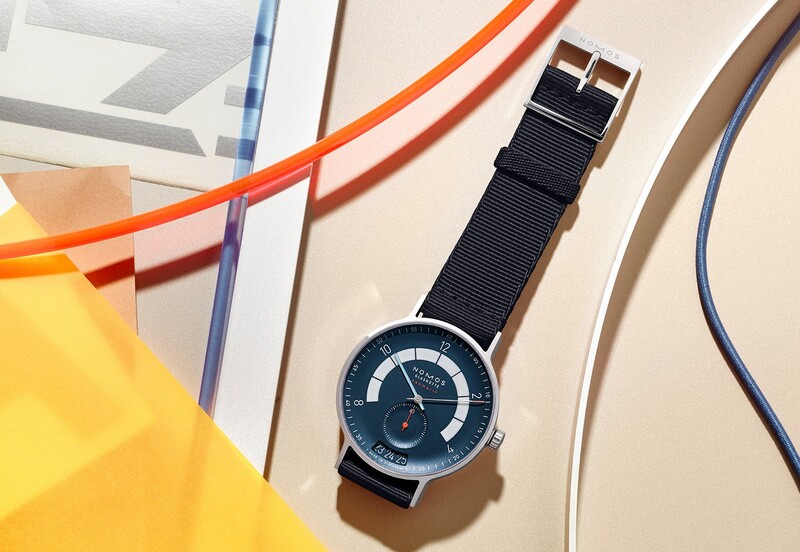 I think the best part is that it is the first limited edition based on the Club Campus that NOMOS has done. The contrasting sub dial and red numerals really give it a unique look – yet it is still 100% NOMOS. What was the inspiration during the designing process? D: As I said earlier, we made up a huge number of different designs. Some of them were quite out there! But black-red-white color scheme based on the Amsterdam city shield was something we kept getting back to. It’s a classic combination. It also works well on many models and hopefully we’ll be given the opportunity to do another NOMOS with these colors in the future. What should I wear with this watch? I’d love to see what people come up with in terms of straps. I’ve tried a few already but can’t wait to see more. I’m looking forward the most to wearing mine on a beach with swimming trunks, on either a rubber or canvas strap. How many pieces will be available and where can I buy it? It’s made as a limited edition of 75 pieces. It is available in our boutiques, on AceJewelers.com and right here on Minimatikal. Can you describe Amsterdam in three words? What is your favorite spot in Amsterdam? D: I’d love a top 10 Strava notation on the Plantage Middenlaan segment. But I’d need to shave off about 6 seconds! Many thanks Dale for your time and answers!